1. Do your research. Research property values in the neighborhood and surrounding community both present and past. This helped the KaZoos decide how much to invest in their home to avoid over-improving. Important questions to answer: What was the original value of your home (and homes nearby)? What was the peak value? What is the present value? Are home values expected to increase or decrease in the next few years? What kind of people buy the homes in my neighborhood–young families, pensioners/retired peeps, rising new money-types? From the KaZoos: Our 1650ish sq-ft home was originally sold for $150k when built in 1999. In early 2006 at the height of the local real estate market, our home was estimated to be worth $486k, and the house three doors down from us actually sold for $463k in late ’06 right before the bubble burst. Chris signed up to receive weekly emails updating him of the latest real estate listings in our area–including new listings, newly reduced listings, etc. Over the last three years, as Chris watched the market in our area, he started noticing that prices seemed to have bottomed out in 2011-2012 and were starting to make a comeback as 2013 progressed. Chris’s main theory was that the inventory of affordable homes dropped (all the way to ZERO houses at one point) due to fewer homes on the market period. This was a motivating factor in why we decided to buy sooner than anticipated; otherwise, we would be priced out of the area in which we wanted to be. When we did buy, the three comparison houses from our appraisal were all in our neighborhood, with the last two selling the month before we closed. A mid 2013 sale went through at ~$247k (same size as ours), and the last two (both larger than ours) closed at $318k and $295k. Now, homes in our neighborhood are selling for between $280 and $340 (some larger, some smaller; some nicer, some not). 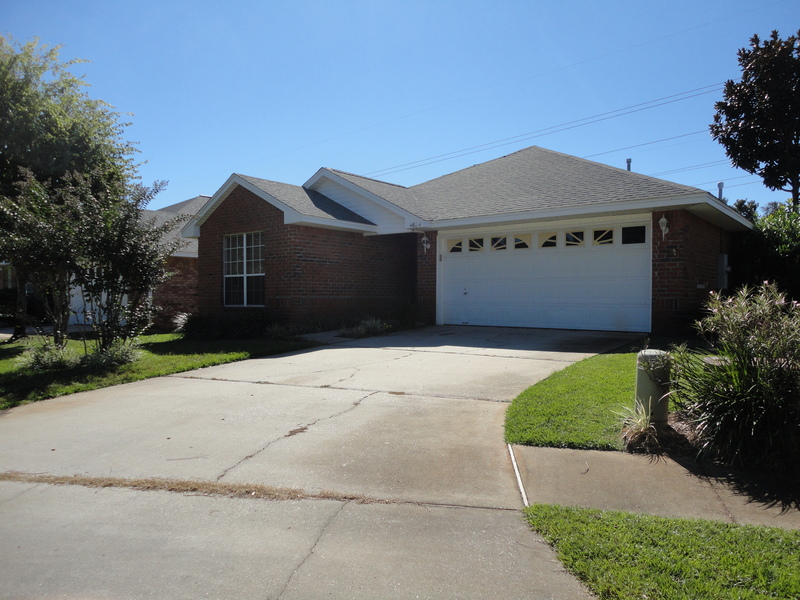 We paid under $200k for our home, which gives us some definite room for improvement (yay!). Note: In the interest of full disclosure, the sale values came from our property assessor’s website, and value estimates were from Zillow. 2. Decide on an improvement financial goal, based on your research and your financial situation. There are plenty of people who tell Mista Lista they don’t care how much they are investing in their home because they are improving it for themselves. However, anything can happen, so thinking that your current home is your forever home may be overly optimistic. The KaZoos like to be cautiously optimistic, balancing their ideal home with the realities of the market and the unpredictability of the future. In other words, just because you’ve got the money to improve doesn’t mean you should, and just because you’ve got room to improve, based on your research, doesn’t mean you should, especially without the money to do so. Mista Lista likes that the KaZoos do not finance any of their home improvements. The motto to remember: If you can’t pay cash today, just walk away. From the KaZoos:We decided on a total financial goal of $70k for home improvements, including everything from major expenses like roof replacement to minor expenses like changing all the outlets and switches to match (the former residents changes all the outlet and switchplates to white, but the outlets and switches themselves are bisque. Ugh.). Keep in mind this is a long range budget so don’t be expecting us to drop that chunk of change all at once a la HGTV. That being said, we are sure that our budget may fluctuate a bit, with savings on some projects and more expenses than estimated on others. Note: This number does not include portable purchases like furniture, rugs, decorative objects, etc. We can invest more freely with purchases that we can keep if we ever move to a different ‘Zoo. Is a home equity loan tempting? Absolutely. Every time Chris mentions it, I decline, though (In my defense, I also decline right after pointing out we could do it…not sure if that is helping ~ Chris). Yes, it would be nice to have everything upgraded already, but I like not having any debt other than our home mortgage. My family paid cash for everything, including houses. It can be done. We can do it, too. 3. Break it down by project. Mista Lista finds it helpful to take the list of home improvements (divided out by spaces, remember?) and use that to create a new list of “Projects.” In this stage of planning, Mista Lista likes having broad, encompassing Project categories, where each home improvement can fit under one Project or “parent” category. Mista Lista doesn’t break it down room-by-room, as some projects encompass multiple rooms (seamless floors). Then Mista Lista divides these projects, based on cost estimation, into three categories as follows: Under $2k, Between $2k-$5k, and Above $5k. Once this is done, Mista Lista attributes specific budget amounts to each project, with the total not to exceed the total improvement budget established in step 2. Budget-wise, Mista Lista finds it is best to start allocating funds to projects that are essential improvements with less financial wiggle room (e.g., roof replacement) and end with projects that are less essential and have more flexibility as your total budget is nearing exhaustion (e.g., landscaping). To come up with these projects and numbers, we first started with what we knew would be a big expense: The roof. Then, we considered the needs of the home in order to stay competitive in today’s market, which meant that a kitchen and master bath upgrade were in order, along with new, upgraded flooring throughout the whole house. In addition, our smaller square footage can be amplified with the addition of more living space in the form of a sunroom addition; if heated and cooled, this room can be included in our total square feet and add to the value of our home. From there, we considered things that would have the most impact for less money (paint) and boost our home’s curb appeal (landscaping/hardscaping). 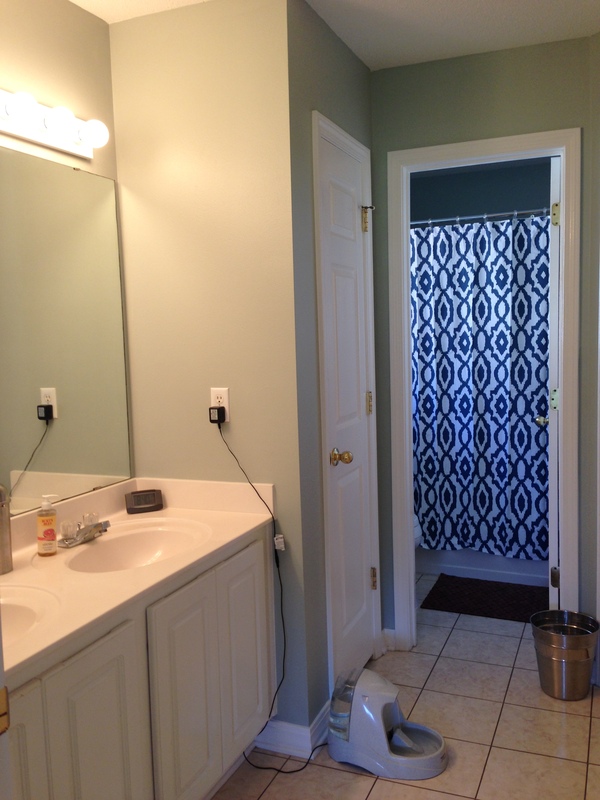 We divided the remaining funds between updating the guest/hall bath and making architectural upgrades like crown molding and new lighting in areas not getting a major overhaul. Paint and lighting can make a huge impact, people. You may be thinking that we are underestimating the cost of a new kitchen and baths, but remember, we are trying not to over-improve and go from being one of the cheapest homes in the neighborhood to being the most expensive. For example, we know that the ‘Zoo master bath doesn’t make the best use of space, but there’s not really any room to make a separate two-person soaker tub and walk-in shower like we would ideally love to have without taking away valuable footage from either the master bedroom or master closet. It also doesn’t make sense to over-improve our bathroom, so we will probably just stick to the tub/shower combo, though we plan to install a much nicer tub and do an awesome tile surround instead of the fiberglass thing we have now. We aren’t planning to make any major structural changes, so we can save quite a bit of money by not having to relocate plumbing and such. 4. Allocate savings to your categories of projects, based on your improvement priorities. Many financial advisors recommend having separate short term and long term savings goals, where short term goals are things like the annual family vacation trip and long term goals are things like saving for kids’ college tuition. In this case, short term goals are often less expensive items than the long term goals. But thinking about home improvements only in terms of short term/long term could be problematic, when you really need to be saving for a pricey roof as a short term goal because that thing is ready to cave at any minute. Of course, some financial advisors would say that having an emergency fund or a home repair fund should adequately address your sagging roof needs. However, home repair funds are often smaller chunks of your budget than other pressing matters, and what really counts as an emergency? What if the roof is caving, the car just quit, the toilet stopped working in the kids’ bathroom, and you just lost your job ALL IN THE SAME WEEK? Murphy’s law, fools. Most likely, even if you are a saver, you won’t have enough emergency funds saved to replace the roof, the car, and the toilet (paid for in cash, remember?) and make ends meet until you find a new job, which could be months away. From the KaZoos: Having to pay for a new roof fairly soon after purchasing the ‘Zoo was a tough blow to take, financially. Thankfully, Chris had been building up our emergency fund, so we had the money available to cover the new roof without having to (a) stop doing other minor improvements and (b) live on beans and rice. We managed to do this despite having an expensive rent in the city plus Chris’s frequent travel back and forth plus my need for organic produce plus burrito binges at Chipotle. You can save without it cramping your lifestyle. You can do it if we can. There’s different ways to do this, but we are currently saving for both the kitchen and floors (long range, big budget items) while also chipping away at other goals in smaller, manageable parts like adding towel bars/hooks to both bathrooms, which lack sufficient hanging space for a life where finding space for soggy towels and wet swimsuits is a daily struggle.